children, ages 6-12, who are clinically diagnosed with emotional and behavioral disabilities. Our program is designed specifically for children with significant difficulties in these areas who cannot succeed in a regular camp environment. All aspects of our camp are designed to meet the individual needs of this special population. From bus pickup to return, we provide a total of 240 hours of highly supervised, case managed, therapeutic care. Each summer, we provide 5,400 healthy breakfasts, lunches and snacks to all of our campers. Our highly structured, case management program emphasizes individual attention, self-esteem building, problem solving and social and physical development, while maintaining an atmosphere that promotes fun and respite from the campers’ daily life. 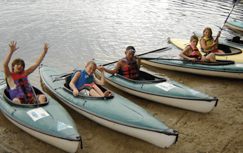 Incorporated in 1974, Camp Ruggles remains Rhode Island’s only therapeutic summer day camp program for children, ages 6-12, who are clinically diagnosed with emotional and behavioral disabilities. Applications for the 2019 Summer session are now available. Please fill out the application completely and mail to PO Box 353, Chepachet, RI 02814 by May 1, 2019. Families will be notified of acceptance by June 1, 2019. 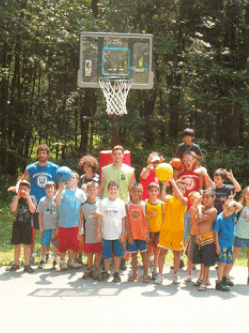 * Camp Ruggles accepts donations through the United Way and the Fund for Community Progress. 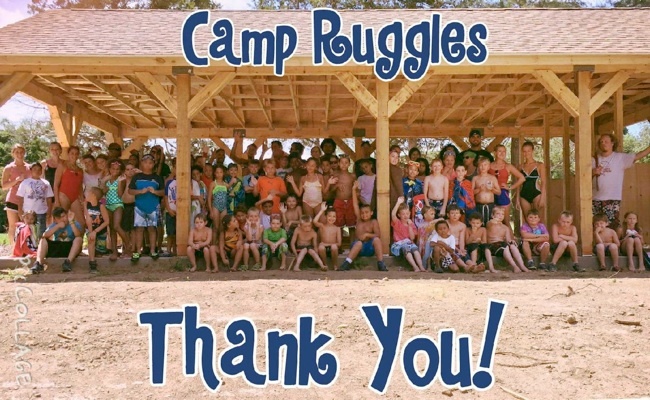 Please specifically write Camp Ruggles when filling out your United Way donation form. June 10, 2019 - Flyer coming soon!